The Gel-Medex advantage is soft, yet solid non-toxic gel that will not migrate or pool. It responds to pressure by dispersing critical weight over a large surface area allowing for effective pressure reduction, support, positioning and comfort. This exclusive Gel-Medex layer is manufactured into all Gel Medex products. Medial/ lateral thigh and pelvic supports to properly position user for maximum comfort and skin protection especially at pressure points. 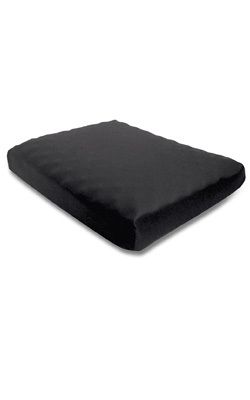 Visco-elastic memory foam on top layer combined with a specially designed high density foam base. Recovery 5� outer covering - a lightweight stretchable fabric that ensures comfort and provides protection from moisture. 3.75" (9.5cm) Front thickness and 2.75" (7cm) Back thickness.